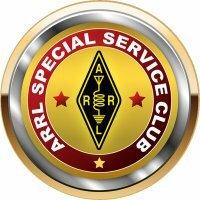 The Radio Club of Tacoma is a nonprofit public service organization serving FCC-licensed amateur ("ham") radio operators in Pierce County, Washington, and throughout the South Puget Sound region. Visitors and new members are always welcome! We hope you'll take the opportunity to check in to the club's weekly two meter net, attend a club meeting, sign up for a class, visit the Clubhouse on Saturday, take a turn operating the W7DK radio station, discover the library, explore the W7OS Antique Radio Museum, or join us at one of our many activities scheduled throughout the year. ==> Download the March issue of The Logger's Bark newsletter. See the Club Meetings page for more information and directions to general membership meetings. This month, surface mount technology: hot-air soldering and de-soldering, circuit board reworking. A hands-on lab will be offered, scrap practice materials provided. April 18 - June 20 - General Class license upgrade course at the Clubhouse, registration NOW being accepted. Details here. June 21 - 23 - Field Day, details to follow!